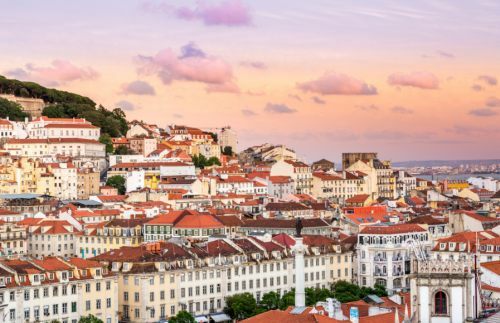 TAP Portugal has dropped the price of their non-stop flights between November 2017 and mid May 2018 from Toronto to Lisbon, Portugal down to $436 CAD roundtrip including taxes. Just use the same dates that are available for Lisbon. My apologies for the lateness of this deal, and the lack of updates the past few weeks. Â I have just returned from a 2-week trip to the Philippines and I was completely unplugged for most of it, as the Internet ranges from non-existent to quite slow in many parts of the country. There are dates over the Christmas holidays available for $70 more. Click on the departure date box to open up the calendar view and look for the cheap date combinations that are $443 CAD roundtrip. 2. Search for a flight from Toronto to Lisbon, Portugal (LIS) or one of the other cities listed at the top of this blog post. Apr 25 to May 2, 9 -- new! May 2 to May 9, 16 -- new! May 9 to May 16, 23 -- new! May 16 to May 23, 30 -- new! May 23 to May 30, Jun 6 -- new! May 30 to Jun 6 -- new! One Response to "Toronto to Lisbon, Portugal - $436 CAD roundtrip including taxes | Nov 2017 to May 2018"
Thank you for the post! Please be aware that the discounted fare DO NOT INCLUDE ANY CHECKED BAG. TAP changes their baggage policy starting OCT 2016 (travel after Oct 2016). I called the airline and was told that if you want to add one checked bag north America -Europe, it will cost 180CAD per bag. I believe if you book directly from tap website, you can choose next fare level which including a check bag..